If you’re shopping for living room window treatments in Castle Rock, you have many different options. Window treatments are available in a seemingly endless array of styles and colors. Keep reading for an overview of a few of the most popular types of window treatments. Shades are a popular option among homeowners and decorators because of their attractive looks and efficient design. There are many different styles of shades available including cellular shades, roman shades, and screen shades. Depending on your needs, one of these window treatments may be perfect for your living room. For instance, if your living room faces south, an opaque roman shade will reduce sun and heat coming in through your windows. This will lower your energy bills and make your interior more comfortable. If your living room windows face a gorgeous view, you may prefer a more sheer shade that does not obstruct your sight. Shutters are a terrific option if you like to be able to easily control the amount of light coming into your living room. If you desire privacy, you can completely close the slats to block a neighbor or passerby’s view. However, if you wish to bring more light into your home, you can open shade up completely or tilt the slats to an angle of your choice. Shutters are also great in terms of looks. Their classic style compliments a traditional home or brings a touch of warm elegance into a modern dwelling. 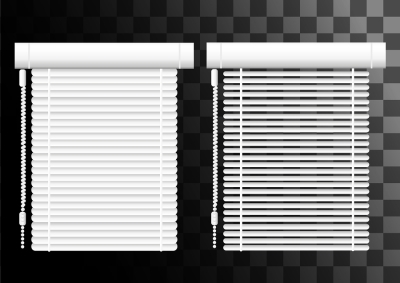 Blinds are a popular choice for homeowners due to their versatility and cost efficiency. Blinds are available in a range of slat sizes and almost any color you can imagine. Decorators love blinds because it is easy to find a color of blinds that complements any interior color palette. Blinds are also available in bass, oak, and cherry wood if you desire a more natural look. 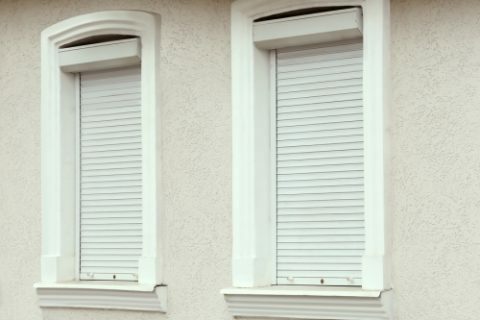 Like shutters, blinds allow you to adjust the amount of light coming into your living room by changing the angle of the slats or raising the blinds completely.